The Pharaoh Dripper Tank, a co-operative product with RiP Trippers, is a rebuildable dripper tank with practical features such as spring loaded clamps that support any kind of coil, triple bottom airflow holes go straight to coils. A Slip-Plate E-Liquid Fill Port and triple airflow control holes provides various options. Height (w/o drip tip or thread): 35mm. 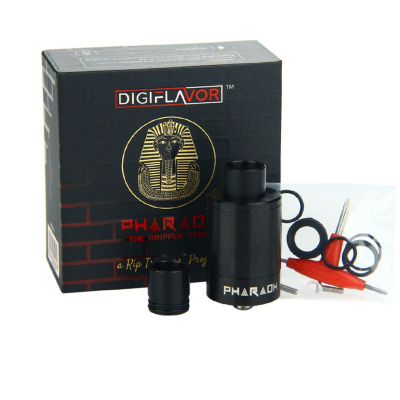 Digiflavor Pharaoh Dripper Tank 25.